This wedding was in the evening during the Christmas season. One of the amazing things at City Hall is the giant Christmas tree that is always put up this time of year. If you look at the image above you can see the designs on the walls behind them. This is actually the projections of the origami ornaments on the tree from the lights. 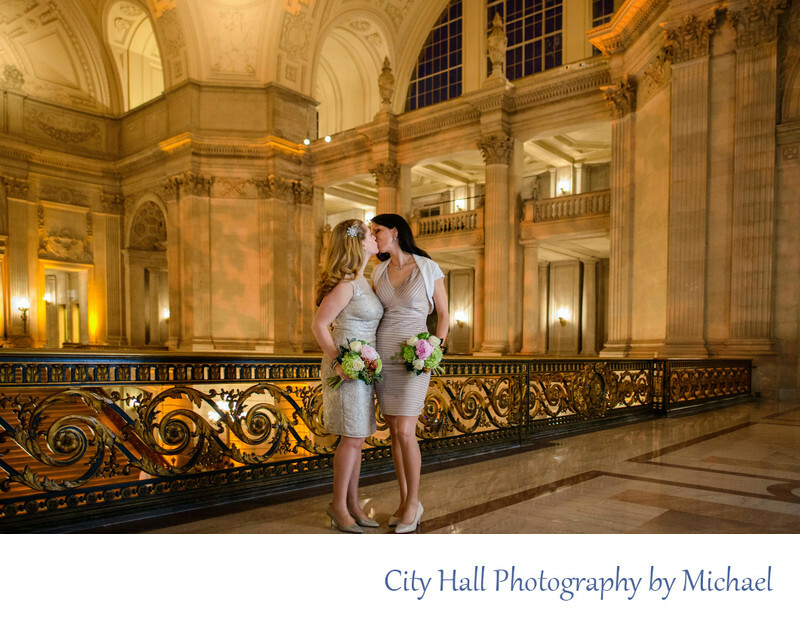 It only shows up in the evening so if you like what you see, book your city hall wedding in the late afternoon during Christmas. This LGBT wedding featured 2 beautiful women getting married.